Even in the small moments when Magnus graced the pages of The Swedish Prince, I was thoroughly captivated by this man. His energy and zest for life was enthralling, and when Karina Halle announced that he would be getting his own book, I swear I squealed with excitement. I couldn’t wait to see what shenanigans and hijinks he gets into, and, boy, does he ever get into trouble. The Wild Heir is more than than a good time. It has depth and heart because the hero of the story also has the aforementioned characteristics in spades, and readers will be romanced by him and his relationship with Ella. Magnus is a force to be reckoned with. Even when he is being reckless, his boyish charm, live in the moment attitude fully pulls you in a whiles you around. Readers want to soak up a bit of his spontaneity. There are moments when his cheeky, even a bit inappropriate, but they all make him more endearing. He doesn’t live within the confines of his role. A reason for his extreme behavior is shared, and when readers see it at its full force, they will empathize with this man they have grown to love. What will really make readers swoon is the way he loves Ella. Like everything he seems to do, he is passionate for her in every single way, physically (so hot) and emotionally (serious heart palpitations from his words). You love him because of they way he is not in spite of it, and he charisma is too alluring to resist. Ella is such a wonderful heroine. She has a mind of her own and uses it to get what she wants. Ella also has no trouble being honest with Magnus or anyone else about her opinions, and she is passionate about her career. Some of my favorite moments with her is when she is sparring with Magnus and challenging him. There are insecurities in her character but also evolution, and she becomes someone different at the end, like Magnus. Her decision at the end and the way she loves him makes me adore her. 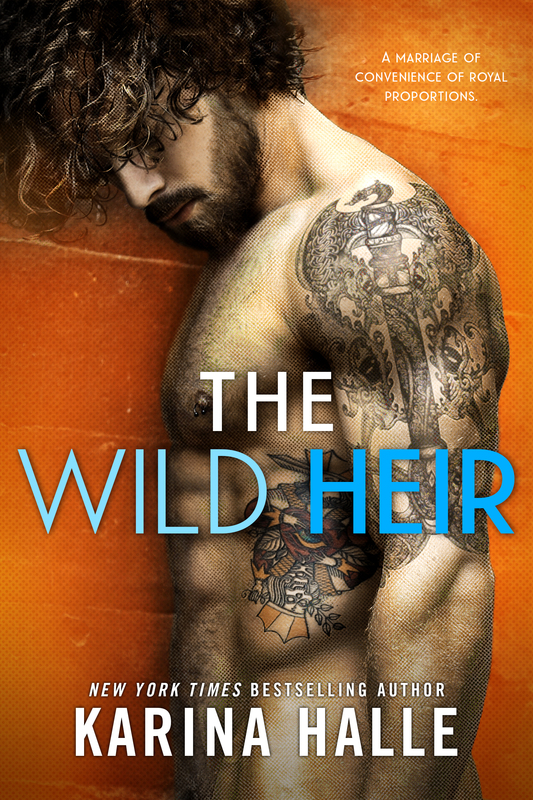 The Wild Heir is a slow burn, and, yet, it is captivating. The initial antagonistic relationship between the two is entertaining and often hilarious. Watching the progression to friends is endearing, and when they transition to love, it is so swoon-worthy. I never expected the vulnerability they show each other and the passion they have for each other. They way the love each other is al consuming, and it swept me away. The conflict is one readers will see coming based on events that occur in the story, but when the climax occurs, it still blew me away, my mouth gaping at the destruction. The resolution is relatively quick, but there are several impetuses that make it authentic, and seeing these two get their HEA in a way that is them is heartwarming. The Wild Heir shows readers that real love is based on friendship and adventure. It is built on acceptance of flaws and understanding. Magnus and Ella show readers that love is hard work but worth it, because to be loved wholly and completely is all we can ask for in this world, and, like the future King and Queen of Norway, it makes us the best versions of ourselves.